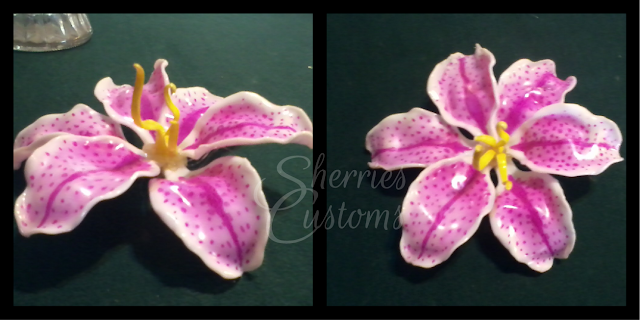 I love creating flowers out of unique materials and these lilies are no exception. 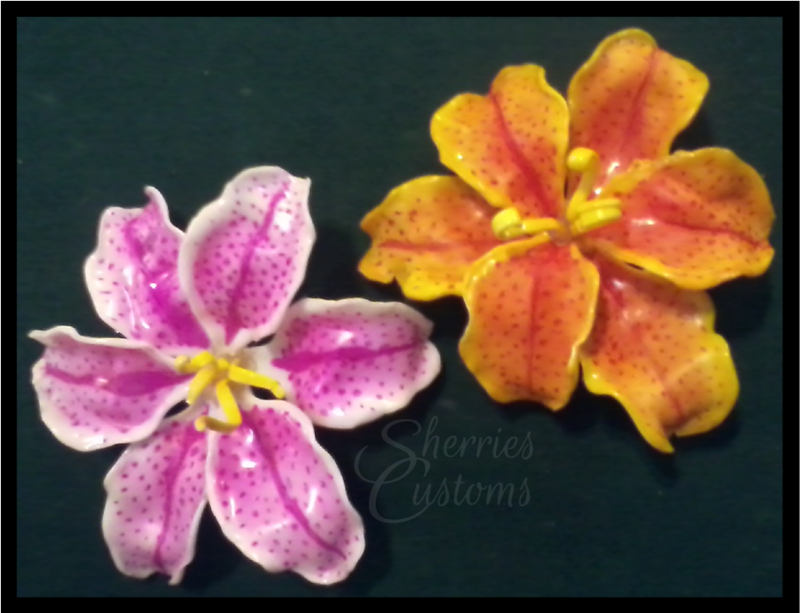 These beautiful Lilies are handmade out of plastic spoons, yes PLASTIC SPOONS! They are a great way to add beauty and a pop of color to your home or share the love and give them as gifts. These flowers are a little challenging to master, but once you get the hang of it you'll be out shopping for new vases to put all your amazing lilies in! 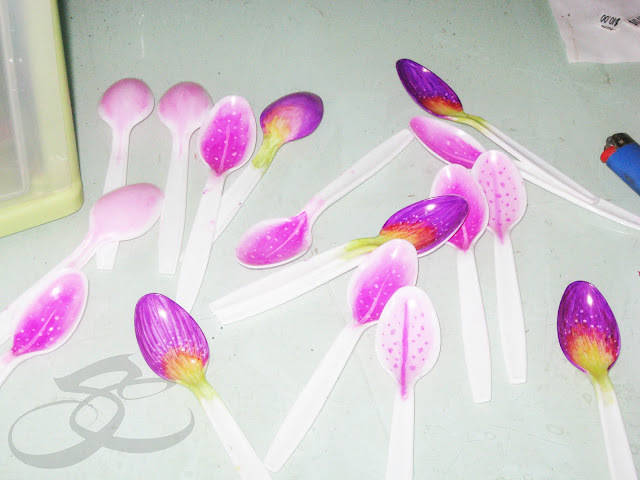 I did not come up with this idea of making flowers out of plastic spoons. I found a video on YouTube that started the creative juices flowing. 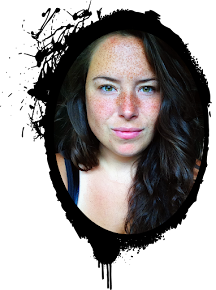 Click here to watch the video that inspired me. 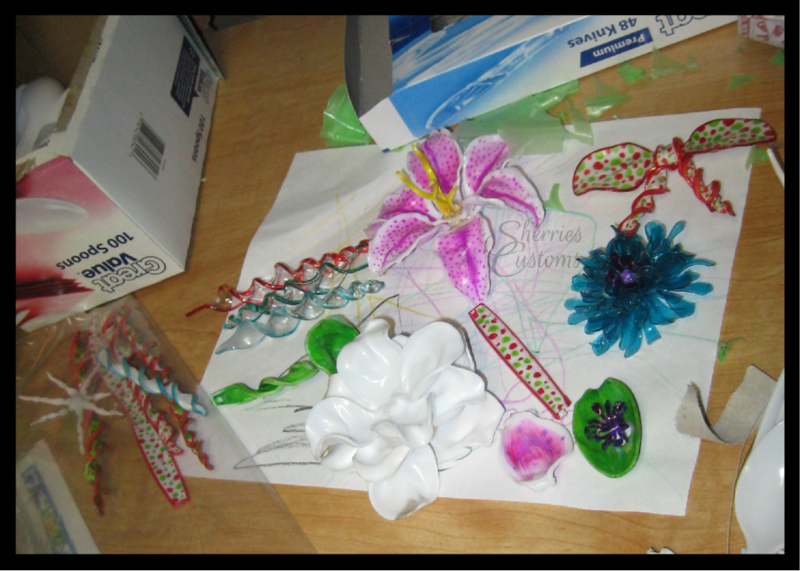 All I could find on the internet was how to make roses, but I wanted to make lilies. 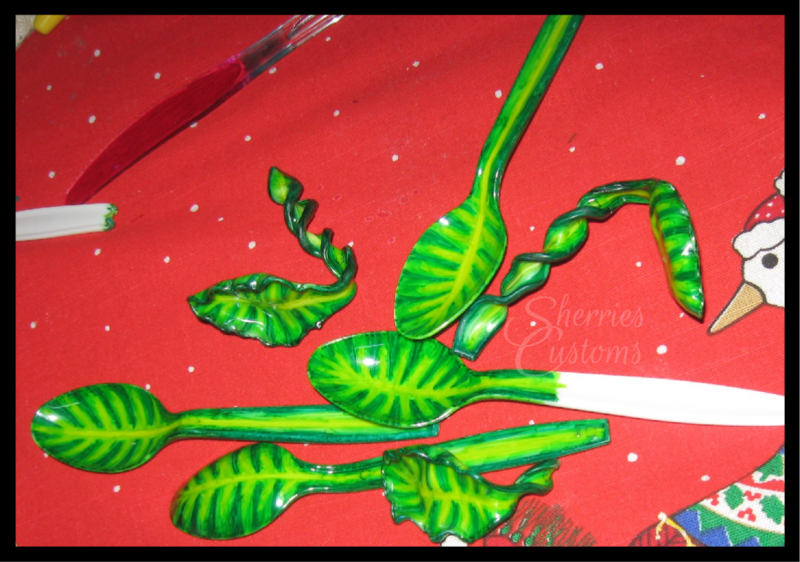 I tried the rose and once I got a feel for melting and shaping the spoons I tried to make my lilies. I think the lilies were actually easier then the roses to make, less petals. Once they were colored I heated them up over a candle to get it soft. 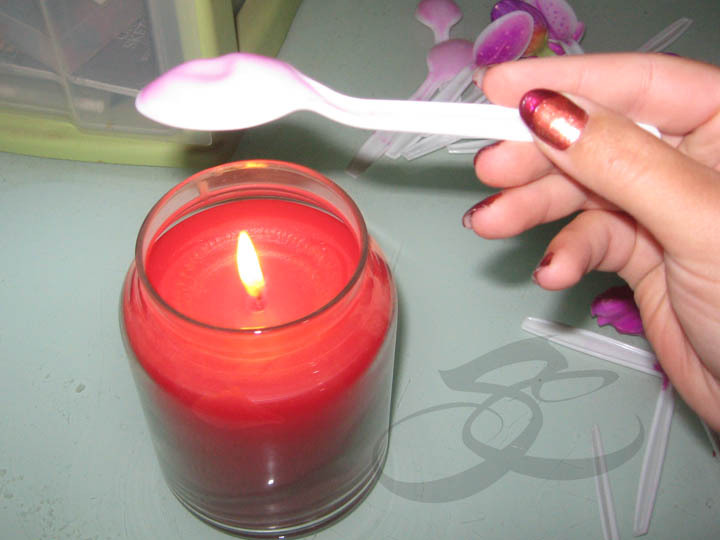 The spoon starts to move and gets visably soft. 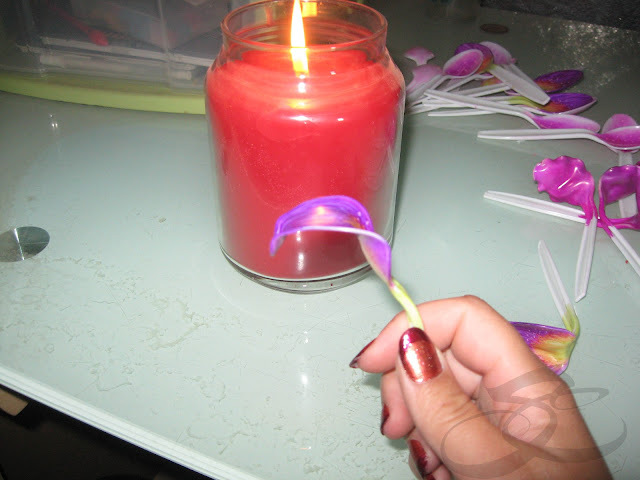 Once that happened I stretch the spoon to make the petal longer. I use my hands or sometimes pliers to stretch the spoon. I continue to stretch and heat the spoon until it's the length I want. 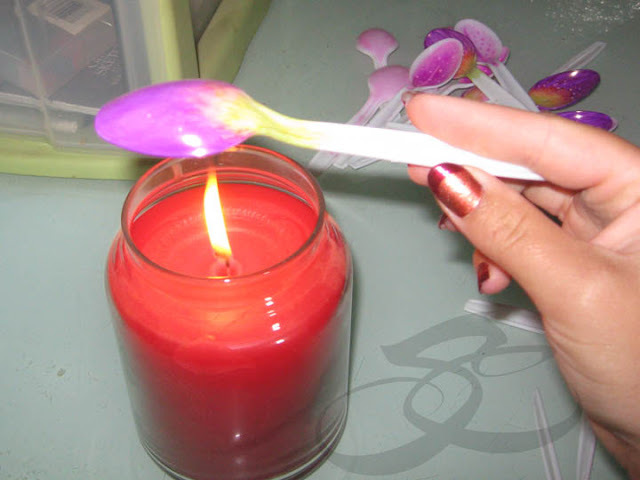 As soon as I stretch the spoon I blow on it so it will cool down faster and hold its shape. I curved the spoon and pulled the sides up to make the shape of a petal. 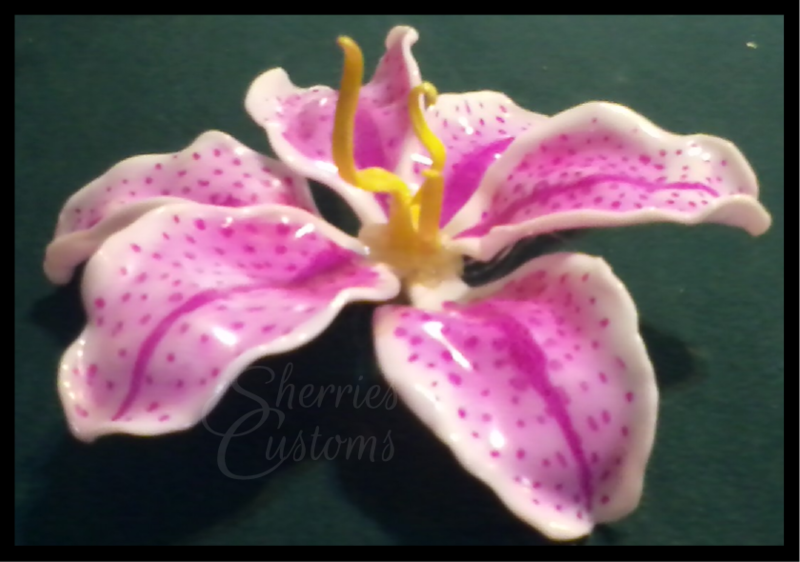 It took a lot of practice to get the technique down, but once you get the idea it's pretty easy to recreate the petals. The last step was to remove the end of the spoon. I heated the spoon again where I wanted it to separate and pull from both ends. It pulls apart really easy. I just heat the side of the spoon till it started to get soft. 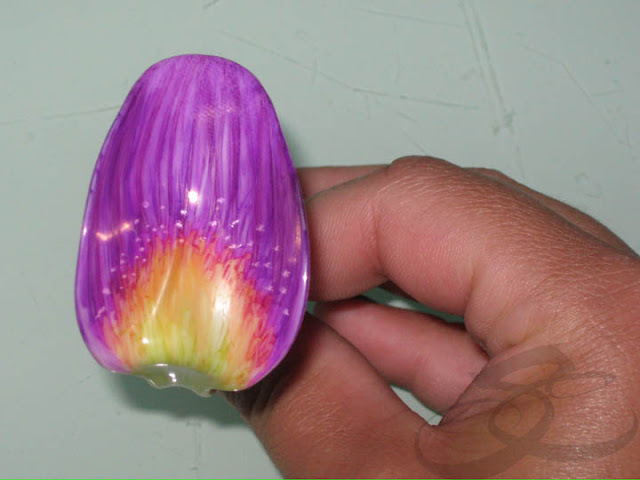 I then took the end of another spoon and pushed in to the petal edge. I Left a space in between each time and it gave me a nice ripple effect. When the petals are done I hot glue them together to make a flower. 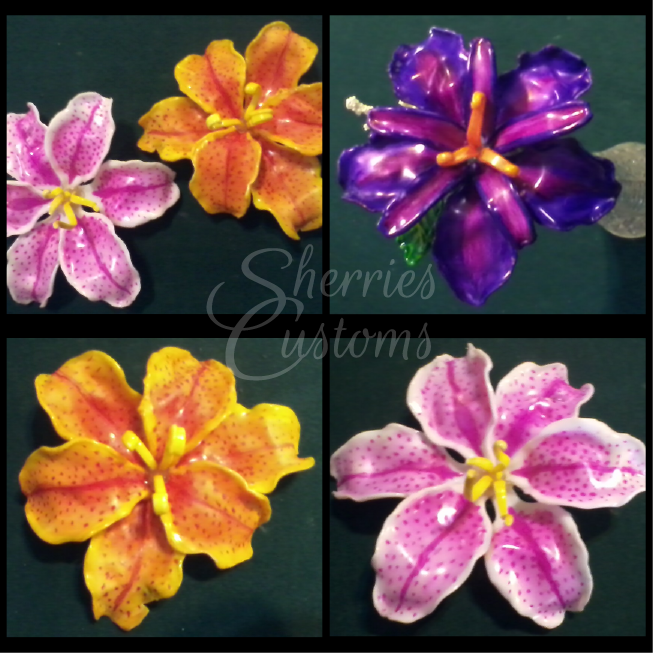 These flowers take a lot of patience, but are so worth it! 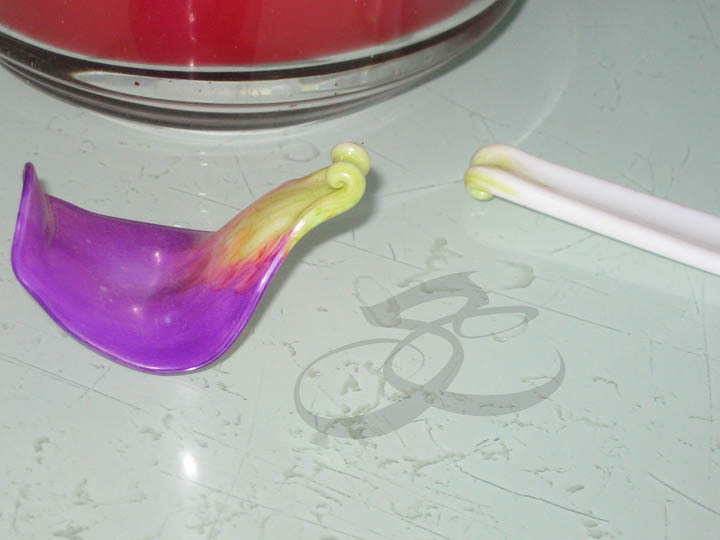 Here's a few of the spoons I colored before and after they were heated and shaped. Below are a few other things I was playing round with. I made a bow, a few icicles, the original rose that started all this, and the blue flower is made from a water bottle. I plan on doing a post on it soon. Te han quedado geniales !!!! y un hermoso colorido. Buen inicio de semana . What type of markers did you use? 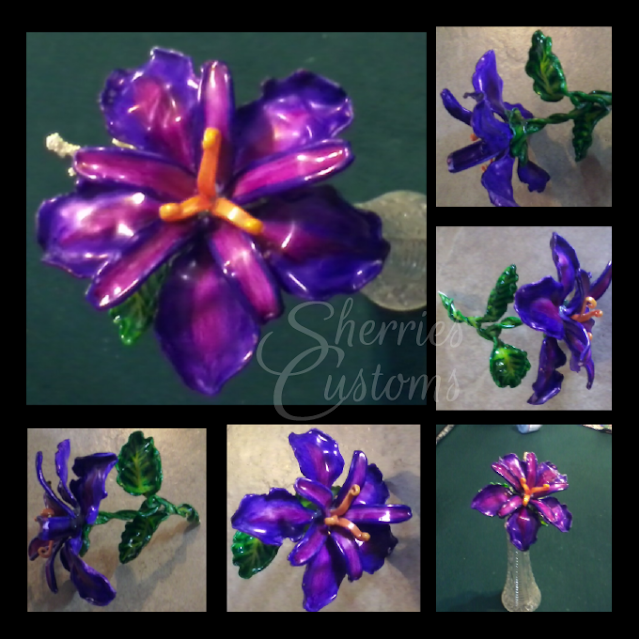 Sherrie, your flowers are lovely, I would love to try this but I will never be able to get mine near as good looking yours are.